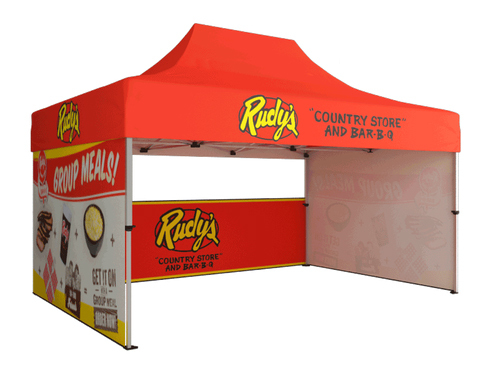 The 20' Event Tent - Full Print provides a durable hand crank system, along with an easy to transport frame that simply pops up and puts you into business in just minutes. This full color dye-sublimated graphic allows you to be the star of the show during any outdoor fair, farmers market, trade show, or festival. Add weights for additional balance, or full graphic printed side walls for the extra exposure you deserve!